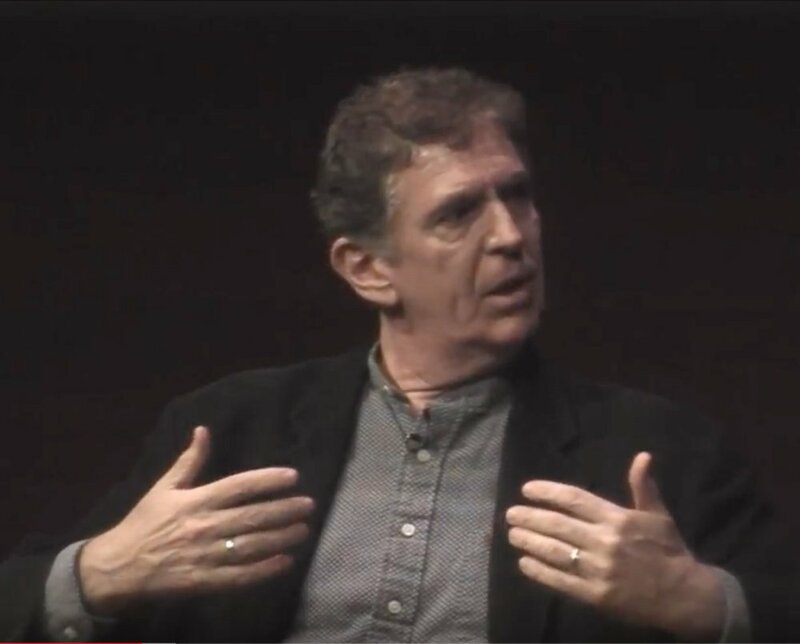 A few weeks ago I engaged in a fascinating conversation with Loch Kelly, a Buddhist meditation teacher, at the Rubin Museum in a program co-sponsored with YHouse. We were asked to shed some light on the topic of time, Loch from a Buddhist angle, and me from a physics angle. Interestingly, our contributions intertwined as soon as we got started, Loch talking also about brain states while I mentioned how a future science is likely to study the nature of the subject. You can find the video of our exchanges here. Even though we had only met for the first time minutes before the program started, several people in the audience commented afterwards that it seemed as if they had dropped by in the middle of an ongoing collaboration between old friends. We clearly shared a sense of wonder about the nature of time, and in addition the moderation of Tim McHenry, skillful as always, started us off in the right direction. I commented how I felt Blake to report about a shift into experientially knowing the now, a different form of knowing than the one used in natural science, which is more rational and intellectually oriented. I compared Blake's views with that of Buddhism, while considering both scientific and Buddhist views as based on forms of empirical knowledge. I also mentioned how early nineteenth century physicists didn't listen to Blake. Fortunately, they didn't try to produce a more artistic, enchanted form of physics. Instead, they just followed their own lights, performing more and more detailed experiments, while developing their mechanistic theories to ever greater depth. And to everyone's surprise, more than a century later all that effort led to the discovery of quantum mechanics, a theory that Blake would have been far happier with -- if only he had lived a hundred years longer. Loch then talked about Tibetan Buddhists, and how their sense of the now is more like a form of timeless awareness. He used another favorite quote of mine, which I had written about in an earlier blog post about the nature of time and reality. The idea was to neither invite the future nor pursue the past, and to let go of the present as well. Loch gave an interesting description of this process of letting go. Even if you would want to hang on to the present, you can't: each thought or feeling comes and goes, fleetingly, showing the futility of trying to stay with the notion of a fixed sense of now. He went on to describe the sense of flow that we can feel under special circumstances, when time may feel more soft, and there can be a feeling that there is an interconnection with everyone. This could be triggered by engaging in art or science or rock climbing or sports or knitting or anything that really engages us. Loch told us that the pleasure people get out of hobbies may be connected to this coming into 'the zone', as it is sometimes called, where you can feel interconnection with everyone and everything. You then feel like you're optimally functioning without secondary worries or judgments. In turn, I spoke about my hunch that in the future science will become more empirical, in a more complete way, by including the subject pole of experience explicitly, and finding a language to describe the intrinsic differences between subjects and objects. Toward the end of the program, Tim asked Loch to lead a short meditation on timelessness. Loch obliged, and instructed us in a gentle way to slow down and notice the way our thoughts are incessantly moving. He invited us to notice how we can sense a quiet contentment underneath all that motion, together with a very alive kind of knowingness. After Loch finished, I asked whether I could lead a similar meditation, starting from scientific observations, to further weave together the various strands in our conversations about the role of time in science and contemplation. Loch nodded, and I led the audience through the steps of starting with a hard-nosed scientific picture of the world as being only a material reality; then to become aware of the givenness of matter in our field of experience; then to see how our sense of self as the owner of experience is only one kind of appearance in a field of appearances. Finally, all you are left with is the presence of appearance, and all there is left to do is to appreciate the presence of appearance. I then invited the audience to sit quietly with this sense of appreciation, for half a minute or so. Afterwards, during the discussion period with the audience, we emphasized again that we had not rehearsed anything in our joint presentation. It had all felt like a jam session, a riffin' off each other, both in the conversation itself and the short forms of practice toward the end. All in all, it gave me a clear feeling of the kind of thing that a typical day in YHouse could offer, once we get our own permanent space, together with the funding for a permanent presence of scientists, scholars, artists, and others deeply engaged in the study of awareness.